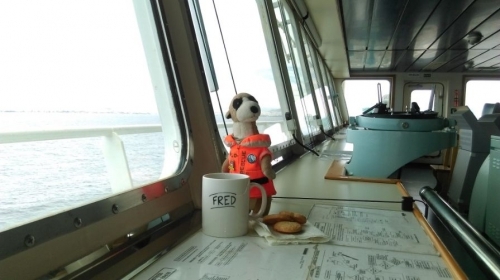 Fred is a good crewmember and is participating in all on board activities like bridge watch, deck- and engine maintenance and of course the ship parties. 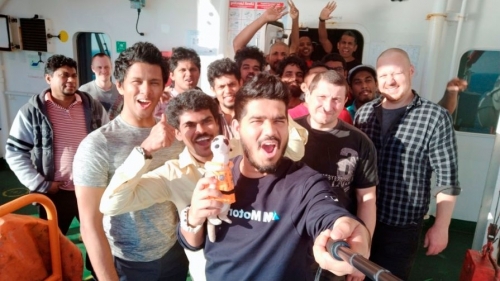 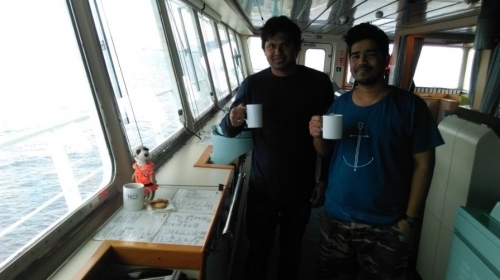 He found new friends on board and spends good times together with the crew, chatting, playing games, watching movies in the evening, and working hard during the day time and giving great assistance to his new friends, especially providing good working environment and atmosphere, turning the coffee-time to a chill out and making jokes . 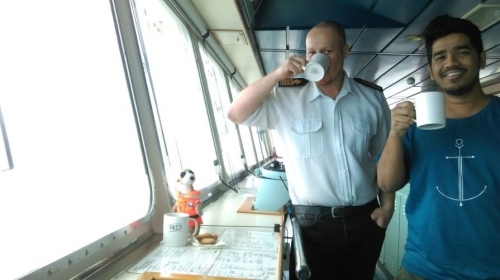 Due to the short port stays, there was no opportunity for a shore leave and therefore Fred was observing Piraeus, Alexandria, Haifa and Mersin from the bridge wing.